So I’ve been applying the 72 in level over this floor in the way the planks are going to run and I am coming up with 1/4 (or more in possibly one spot) in low spots all over. I was hoping to not have to use slc – but it seems to do it right that is going to be the way of it. If you are putting in laminate directly on top of the cement – yep. If you are putting in hardwood on top of 2×4 stringers, you can use shims in the low spots. 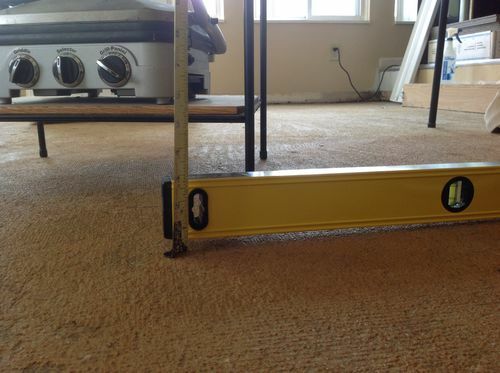 Keep in mind, trim covers the imperfections around the edges, carpet covers up the imperfections of the floor. thanks for solidifying my conclusion DB :) Yes to laminate, no to hardwood. Didn’t even realize hardwood was an option! well – it would be except for budget. Searching for the best interstate removalists> ? Australia National Removals Group has professionally conducted interstate removals throughout Australia for over 35 years. LEAD Consultants offers a wide array of services for Project Management & Quantity Surveying and Town Planning Management Brisbane . We are backed by industry experience and qualifications. Quite an informative article. Thanks for this. If you’re searching for for Best Car Transport Company around Australia? No matter your location or destination, Trade Car Transport can help you move your vehicle around Australia safely and cost-effectively.